Elementor 2.0 is even better! 2.0 will be released incrementally over the remainder of 2018 with some great surprises in store. Elementor’s 600,000+ customer base is expected to increase dramatically. 2. What Is It that Makes Elementor #1? When a website builder reaches such a lofty status within 2 years of its release, it must have a lot going for it. But, that’s exactly what has happened with Elementor. Whether you specialize in building general purpose websites, portfolios, eCommerce stores, landing pages, blogs, or all the above doesn’t matter. This WordPress page builder still holds down 1st place. There’s a host of excellent page and homepage themes to choose from. With Elementor, you can switch themes anytime you want. When you’ve finished a page, or even partially finished one, you can save it for use later. Speed, customization, flexibility, and ease of use sound great, but they’re general descriptions. What about a few specifics? Customization can mean anything from a little to a lot. Many WordPress theme builders promise “a lot”, but Elementor takes customizing to a completely new level. You get extensive control over features including section widths and heights, column size, position, content position, padding and margin settings. The net result is a more disciplined and cleaner design. 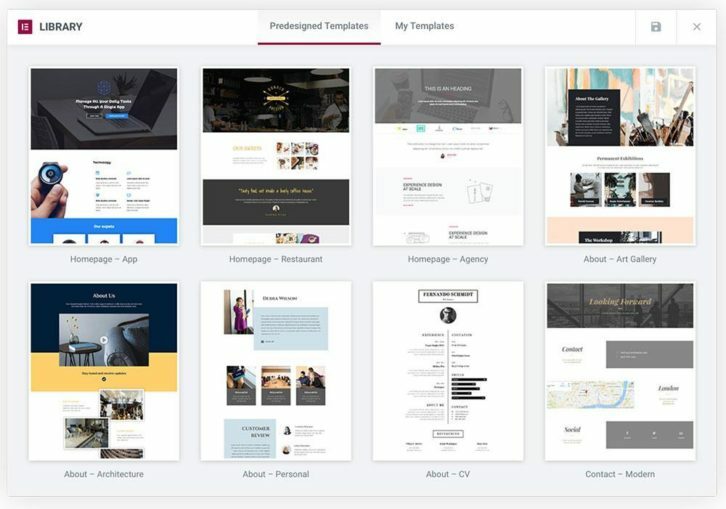 Elementor’s comprehensive template library covers a wide range of styles and industries along with a useful selection of templates that address specific needs and niches. You can work from either a pre-designed template or from one you design yourself. You can save self-made templates and add them to the library for later use or for sharing with other designers. A package of 40+ Elements comes with Elementor. Since they are customizable the “total” package is orders of magnitude larger. With the help of these customizable layouts, you can create virtually any layout down to the tiniest of details; and you don’t need to be a coding whiz or know anything about the practice to do so. If someone should tell you that the Elementor WordPress page builder is 110% responsive, it’s probably because they’ve gotten the effort the team put into making Elementor responsive (110%) mixed up with the characteristics of the resulting product. In any event, device preview screens, device visibility controls, and percentage-based element widths ensure that device owners will see what you intend them to see. 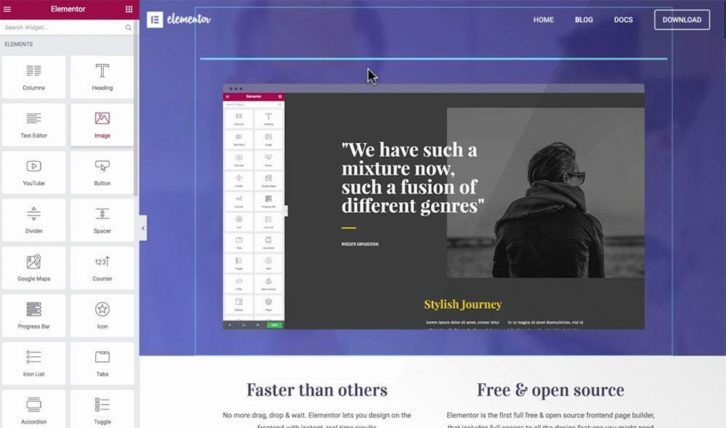 Both designers and developers use this WordPress page builder, and they have been equal in their praise for this web-builder. Web designers like the fact that they can create pixel-perfect layouts without having to bother with CSS or coding. They also greatly appreciate Elementor’s selections of color palettes, Google fonts, and more than 400 icons. What web developers appear to appreciate most is the freedom they’re given to extend and customize this WordPress theme builder. They don’t feel constrained or caged in when using Elementor, plus they love the custom CSS, the ease of incorporating 3rd party widgets, SEO optimization, and of course, the superior quality of Elementor’s code. For starters, Elementor 2.0 is Gutenberg compatible – completely. Even though the Gutenberg editor is currently in beta test, its release is imminent. Once that happens, editing activities on WordPress will improve significantly and become much easier that is the case with the present visual editor. Other Elementor 2.0 features will be incrementally released over the coming months, so users will have plenty of time to adjust and plan ahead. Pre-designed layouts (Blocks) will allow you to mix and match your Section designs much faster than before. A much-awaited Header and Footer feature that enables you to design a page that includes header and foot areas. The capability to design single posts and archive pages. 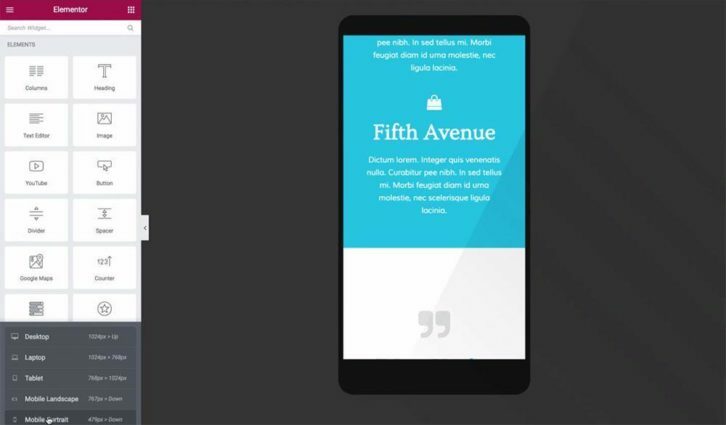 The capability to design 404 and customized search pages. Improved WooCommerce shop, product page, and eCommerce page design controls. For plugin and theme developers – new options for those who create Elementor extensions, plus an extensive tutorial and resource center. Extensive integration of Advanced Custom Fields and Toolsets as part of a dynamic content creation process that will blow your mind. This is not your average, run-of-the-mill drag and drop WordPress theme builder. Not by a long shot. The fact that this free WordPress page builder is #1 was almost bound to happen when you consider the effort the team put into resolving issues that have perplexed website builders for years. The fact that Elementor is the best free WordPress page builder on the market, and an open source page builder to boot, is good news in itself; but the best is yet to come. 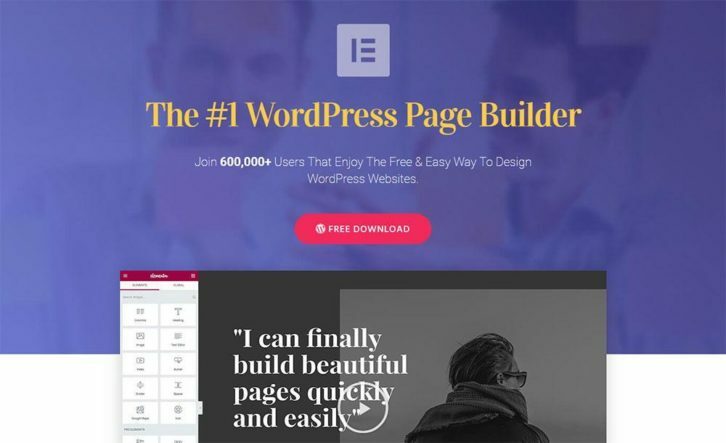 Check Elementor out now, both the free and the Premium WordPress builder version. Explore and experiment with its new and improved features, its amazing customizability, and its cool selection of widgets. And to repeat, no coding is necessary. Give it a try, start saving your designs, share them with others and/or save them for future use – and enjoy yourself in the process.